Efficient, Dependable, Affordable, Professional Cleaning Services In BG! It's time to clean, clean, clean. You need a professional house cleaning service to do the job. We deliver! 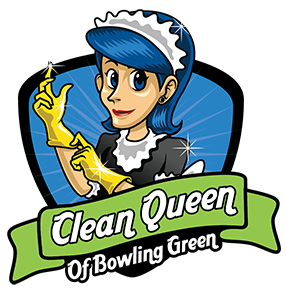 Clean Queen is licensed, bonded, and insured. We do a thorough background check on all our employees, so you can rest assured that your treasures will be safe with us! Available 7 days a week, the Clean Queen team is always ready to provide superior service with our unmatched Regal Touch cleaning processes. We service Bowling Green, Brownsville, Morgantown, Oakland, Plano,Plum Springs, Richpond, Rockfield, Scottsville, Smiths Grove, Woodburn, and other areas near Bowling Green, Kentucky. CALL US now or fill out our Quick Quote form. Someone will get back with you right away to schedule a walk-through so we can understand exactly how you want your home cleaned. When you hire a professional cleaning company you expect professional people to show up on time and do the job right the first time. At a minimum that is what you expect! If you're like me, you also expect them to be courteous, friendly, clean, organized, and able to follow any special instructions you might have. Not to sound crabby, but that's just the way I am. When I buy something and pay for it, I expect excellence. Excellence is all we do. 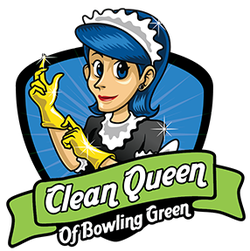 We know that to be the number one professional cleaning service in Bowling Green, KY we have to do excellence and nothing but excellence. When I come home and my house smells so clean and fresh, it's almost like an ocean breeze to me. ​Sorry, I get a little carried away sometimes. But I do love a clean house and I know you do too! Of course it depends on the size of the job and the amount of time we will spend doing it. Home Cleaning Prices vary depending on a number of factors, but we work fast and we are fair. It costs you nothing to receive a custom quote. Once we give you the Free Quick Quote the price is set. We will not come back later with a higher price or play any other kind of games with your time or your money. When we guarantee your satisfaction 100%, we are not handing you a piece of paper hammered out by some corporate lawyer somewhere. We are making you a promise face to face. We say what we mean and we mean what we say. If you are ever dissatisfied for any reason whatsoever, we will be there to solve it before your dander can even begin to get up. You can't get anything but 100% Satisfaction with us. We won't allow it! Whatever it takes to make us the only Professional Cleaning Service you will ever consider. We are that serious, try us! ​The sky is the limit. If you can get it dirty, we can get it Queen Clean!